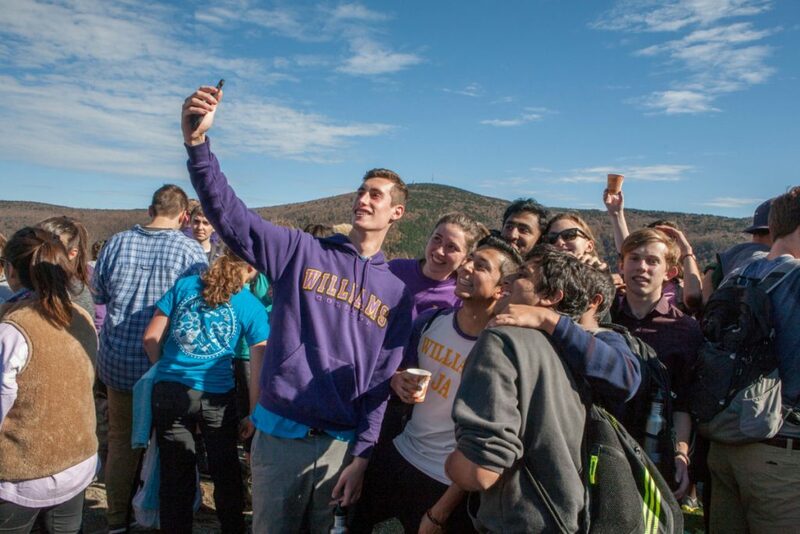 Williams » Feature Stories » It's Mountain Day! This morning President Maud S. Mandel canceled classes, and the bells rang out “The Mountains,” signifying the start of this year’s Mountain Day! Throughout the day, students are enjoying the outdoors, hiking over Mount Greylock, grabbing lunch at the all-campus picnic, listening to music, participating in an adventure race and enjoying an evening polar bear swim, among many other activities. Check out the complete schedule of events on the Outing Club’s website, where there’s also information on activities throughout the year. To find out more about Mountain Day (which began more than 150 years ago as Chip Day and Gravel Day and has since evolved to the annual tradition of a spontaneous break from classes), take a look at this history from the college archives.